Larry McAnarney will team up with several leading experts from various industries to release the new book, “The Road to Success: Today's Leading Entrepreneurs and Professionals Reveal Their Step-By-Step Systems To Help You Achieve The Health, Wealth and Lifestyle You Deserve” by CelebrityPress®. Monroe Center, IL – June 16, 2016 – Larry McAnarney, a Certified Senior Advisor, has joined Jack Canfield, along with a select group of experts and professionals, to co-write the forthcoming book titled, The Road to Success: Today's Leading Entrepreneurs and Professionals Reveal Their Step-By-Step Systems To Help You Achieve The Health, Wealth and Lifestyle You Deserve. Nick Nanton, Esq., along with business partner, JW Dicks, Esq., the leading agents to Celebrity Experts® worldwide, recently signed a publishing deal with McAnarney to contribute his expertise to the book, which will be released under their CelebrityPress® imprint. The Road to Success: Today's Leading Entrepreneurs and Professionals Reveal Their Step-By-Step Systems To Help You Achieve The Health, Wealth and Lifestyle You Deserve is tentatively scheduled for release in fall 2016. A portion of the royalties earned from The Road to Success will be donated to Entrepreneur’s International Foundation, a not for profit organization dedicated to creating unique launch campaigns to raise money and awareness for charitable causes. 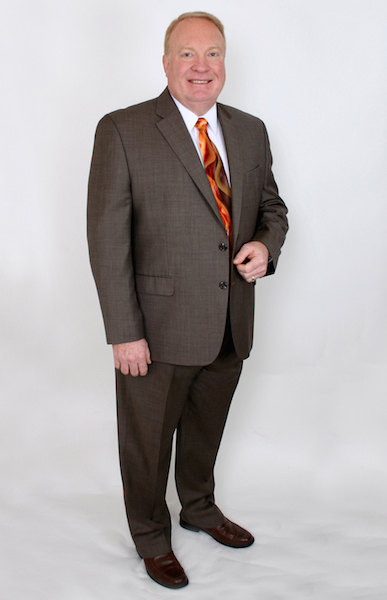 Since 1999, Larry McAnarney has specialized in reverse mortgage lending and providing his clients and partners with the education and information needed to make informed financial decisions. After researching several white papers published in 2005, he has incorporated the protective power of housing wealth in a coordinated retirement income distribution plan for financial advisors and their clients. Knowledge is power and educating financial professionals and clients about the proactive use and retirement income strategies of a reverse mortgage in a comprehensive financial plan has become his career focus. As a Certified Senior Advisor, Larry helps seniors fundamentally understand the dynamics of the reverse mortgage program. He supports the conservative use of housing wealth and promotes responsible lending principles. Larry strives for collaboration among industry leaders and financial advisors who are investigating the proper role of housing wealth in retirement income planning. Larry’s passion and client reviews clearly show his interest in helping others. He currently has a 98% verified customer approval rating and doesn’t understand why it’s not 100%. When Larry is not busy helping others, he enjoys spending time with Linda, daughters Kali and Kacey, son-in-law, Josh, and grandchildren, Kinzie, Evelyn, and Dax Being an outdoor enthusiast and adventurist, Larry enjoys travel, hiking, skiing, and four-wheeling.